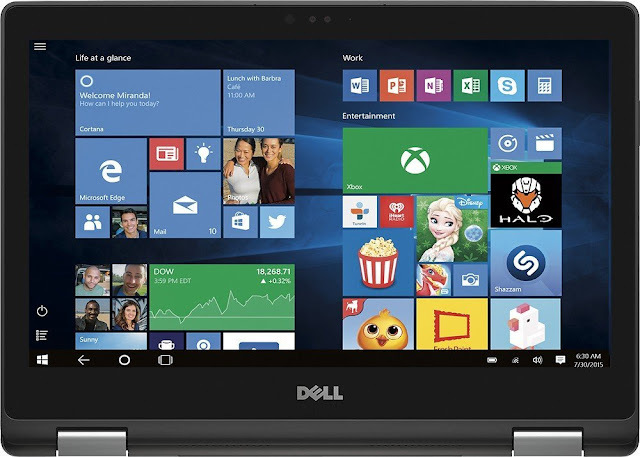 Dell XPS 13 Review: Should you Buy it? The 2015 version of the XPS 13 was launched at CES in January and made a big impression among the public as it was among other reasons, very small in size. When you look at the XPS 13 the first thing you will notice is how thin the bezels are around the display. 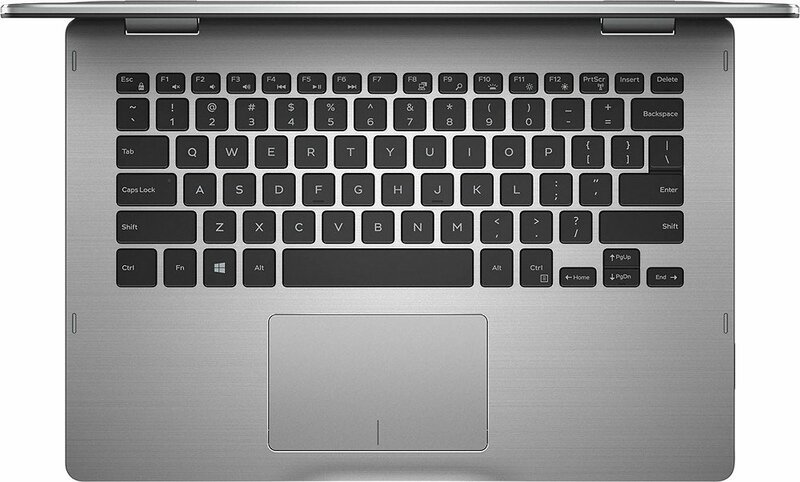 At 5.2 mm, they were, and still is one of the thinnest bezels around in a laptop. 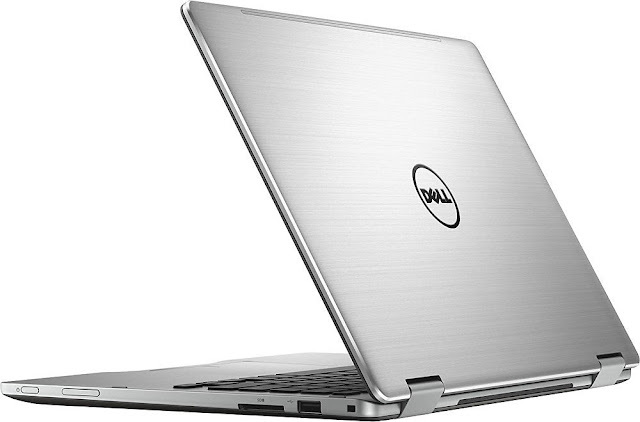 Dell claimed that the 13 inch XPS 13 was packed in the chassis of an 11-inch display. 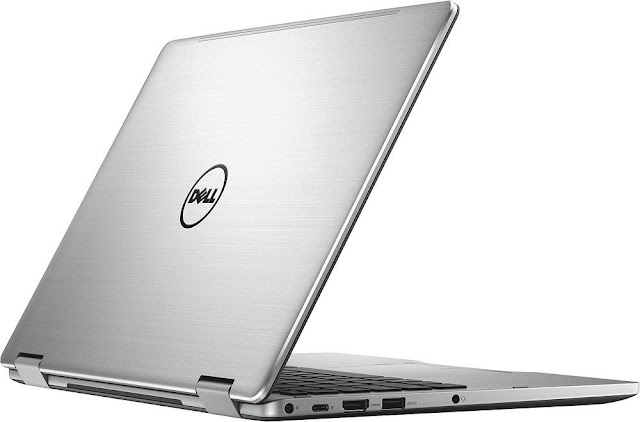 But not just dimensions, Dell has managed to pack in very modern hardware to showcase the laptop packing in Intel’s then-latest 5th generation Broadwell-U processors. 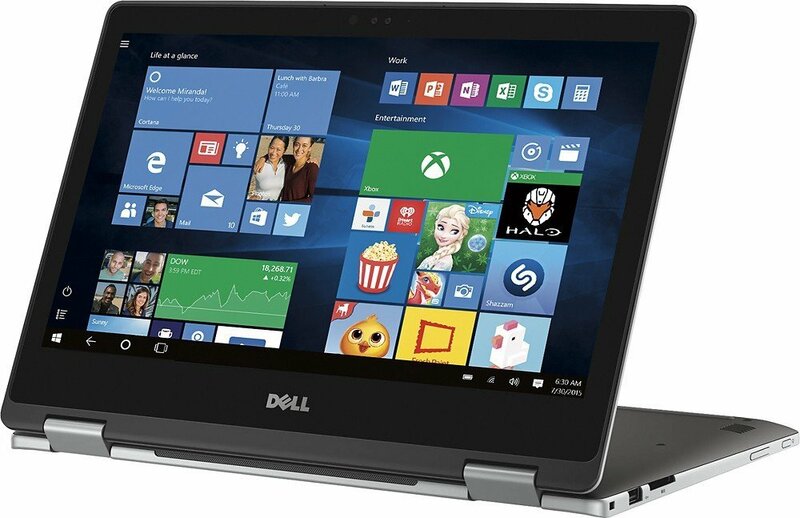 Fast forward to 2017 and Dell has taken all the slim carbon fiber goodness from their flagship Ultrabook and applied it to the brand new hybrid. 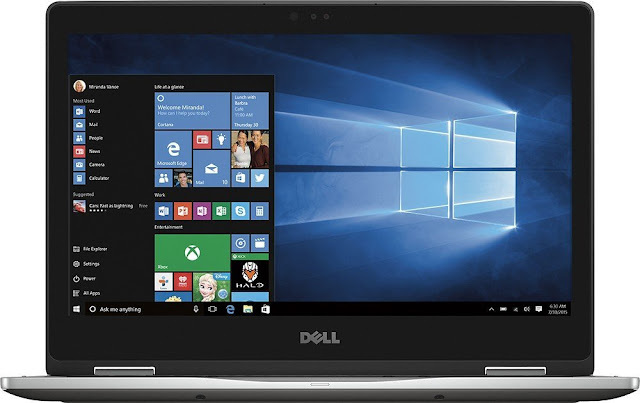 Available at a starting price of $999, the XPS 13 2-in-1 is a totally new design and distinct features. The chassis, for example is even lighter than the previous XPS 13! 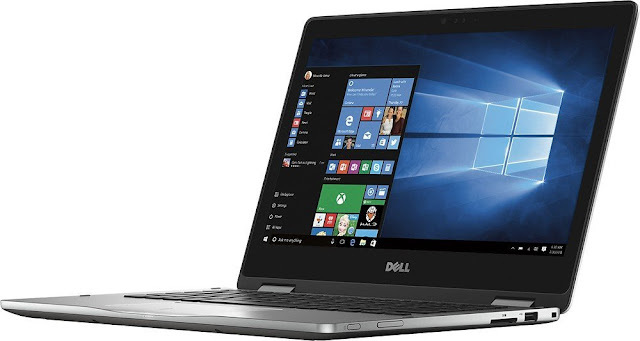 Dell has added a new feature called the Dynamic Power Mode technology, which bumps up clock speed when you need more performance. Considering the XPS 13 now packs in itself Intel’s Core M or currently known as Intel’s Y Series Kaby Lake processor, it is surely a powerful device. Of course there are a few compromises here and there, most notably being the fewer ports and lesser battery life than the standard XPS 13, but the XPS 13 2-in-1 hybrid is an excellent device. Rivals have better battery life. Looking at the 2-in-1, you can easily mistake it for the regular model. You still get the sturdy machined aluminum cover with the bottom being built of a soft carbon fiber deck on the inside, which always stays cool to the touch, is super comfortable while typing and obviously has quite a premium feel to it. The power button feels mushy and you'd be confused whether it had turned on after you've pressed it until you look at the tiny power light embedded on the button. You don't get any volume keys on the device which is a bit awkward. There's a battery status indicator which tells you how much juice is left in the forms of five small LEDs. But opening the hybrid could have been easier, as there's no place to grip on the front. The hybrid is a mere 0.32×0.54 inches thick, which is a very small difference compared to the regular XPS 13. But holding the two laptops, the difference is appreciable. The reduced thickness comes in handy when you're using the XPS 13 2-in-1 as a tablet. The XPS 13 2-in-1 weighs in light at 2.7 pounds, which is less than the touch version of the standard XPS 13, which weighs 2.9 pounds. But by decreasing the weight and dimensions, Dell had to make a few sacrifices. There's no full-size USB 3.0 port or an SD card slot or an USB Type-A port. You would find a Thunderbolt 3 port, a USB Type-C port, and a microSD card slot. Dell also includes a USB Type-C to Type-A adapter out of the box though, which Apple doesn't do with their MacBookPro, which would make it much easier to connect it with your iPhone. The hinge supports multiple modes such as laptop, tablet, tent and stand. For colour options, the XPS 13 2-in-1 hybrid only gets silver, but rumors is out there that a rose gold version is coming out too. The hybrid gets the same backlit keyboard as the standard XPS 13, which means 1.3 mm of key travel and a tactile bump from the switches. But the keyboard felt too spongy for my liking. Typing was very comfortable with no errors and my fingers glided through the keyboard at slightly more than 70 words per minute instead of my average 62-68 words per minute. Speaking of errors, the number row keyboard registered incorrectly when keys were pressed quickly. Based on user feedback, there are a few changes such as the Home and End keys now have dedicated keys in the top right corner, and dedicated Page Up and Page Down keys are also added. All these keys were previously integrated into the arrows buttons as function keys. The feature of the keyboard that kind of irritated me was the brightness keys which were embedded on the up and down navigation keys and you have to press them in combination with the Fn button. The Precision Touchpad did live up to its name during testing. Sensitivity was good, and gestures were well recognised such as a three-finger swipe to show open apps, pinch to zoom. But I found that the touchpad jidders a little too much when performing two handed operations. Navigating through the desktop and selecting text was smooth, though. The fingerprint sensor located to the right of the touchpad is fast and accurate, but it could have been backlit, because you would have a tough time finding it in the dark. Gorgeous. It is the one and only word which came to my mind when I took a look at the Gorilla Glass protected IPS display. The Infinity Edge display in the XPS 13 2-in-1 features super slim bezels, measuring just 0.2 inches, and it seems as if the display is floating above the keyboard. The 13-inch display has a native resolution of 1920×1080. There's a 3200×1800 model available too. Both feature touch screen. There's a problem though, and that's the aggressive auto brightness which turns the brightness up or down based on screen content and cannot be turned off in any of Windows 10 or Dell’s settings. Images that I viewed were crisp with plenty of detail and great contrast but colour reproduction could have been better. The panel reproduced an impressive 107.2% of sRGB colour gamut. In our color test, the XPS 13 2-in-1 came first at 107.2%, with the Acer Spin 7 and the HP Spectre x360 coming third at 101.7%, with the Lenovo Yoga 910 scoring the lowest at 98%. The display in the XPS 13 2-in-1 scored an average Delta-E score of 6.08, which is much higher than the ideal score of 0. The display is however, bright and scored a maximum brightness of 312 units. 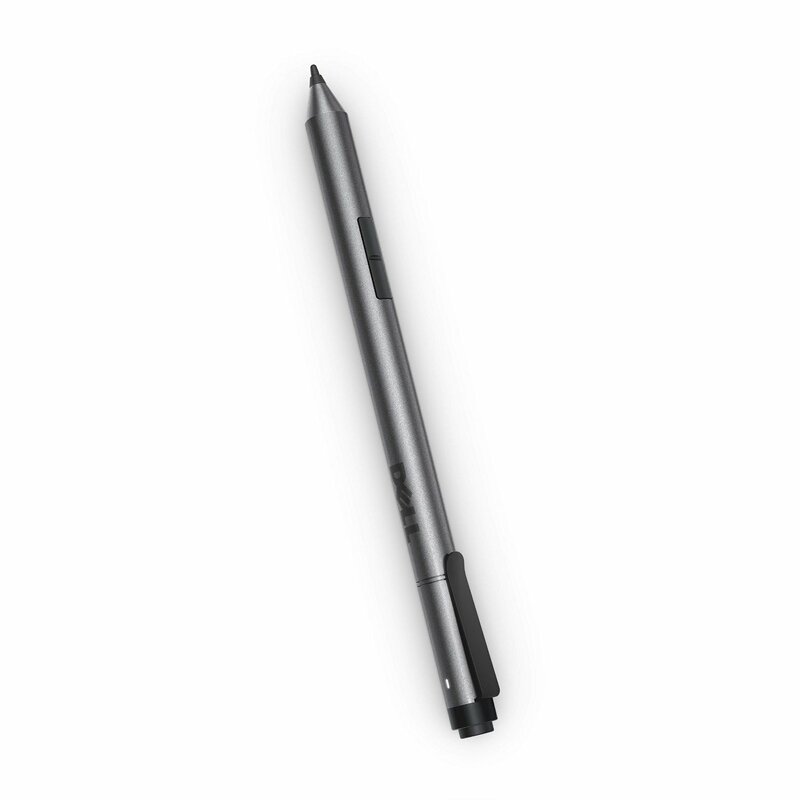 There is an optional Active Pen that is in the market for a year now and you can buy one for $49 to take full advantage of the inking feature of Windows 10 and to sketch or draw. The pen provides 2048 levels of pressure sensitivity and features built-in palm detection so you hand won't make any accidental marks on your digital canvas. The stylus works with other laptops and has a rear button that can launch the Windows Start menu, Windows Ink or any other apps of your choice with a single or double click. Writing or sketching with the Active Pen felt extremely natural, with the feedback feeling similar to paper and pen. It seemed as if I was writing on the paper with a gel pen. As I sketched in the Bamboo Paper app, the lines got thicker the harder I pushed the tip of the pen against the screen. There's no place on the laptop to store the pen while not in use and you have to carry it separately. Anyhow, that is not going to be a problem for most! 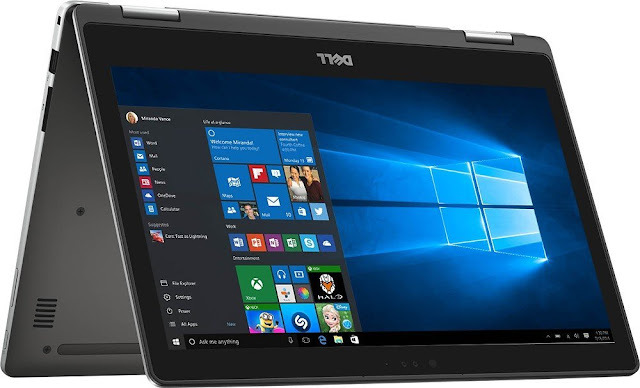 This hybrid 2-in-1 features Intel’s Y Series processors. But don't think of it as a slow device. Dell’s new feature called the Dynamic Power Mode allows you to bump up core speed in an instant while keeping temperatures reasonably below the limit, eliminating the stuttery performance on the standard XPS 13. Though not as fast as the U Series chips present in other laptops, it was really snappy with pretty smooth performance overall. The review unit that I had, came with an Intel Core i5-7Y54 CPU which is a dual core CPU clocked at 1.2GHz and features hyper threading and produced in a 14 nm process and contains FinFet transistors. The laptop features 8 GB of DDR3 RAM and a 256 GB PCIe SSD. The CPU can get to a peak clock speed of 3.2 GHz, but can not maintain it for long because of the aforementioned passive cooling. The laptops handles typical workloads without a hitch or a stutter, switching between a slew of opened Chrome tabs, or using Netflix or streaming tunes on Spotify. However, I noticed a lot of stutters and lags with serious frame drops while trying to watch Ultra HD videos on YouTube. In our Geekbench 4 test, the Dell scored the least points at 6498. The HP Spectre x360 and the Lenovo Yoga 910 with their Core i7 U series CPU surpassed 8000, with the Acer Spin 7 (1.3GHz Core i7-7Y75,8GB RAM,256GB SSD) coming second at 5777 points while the latest 12-inch MacBook(1.2GHz Core m5,8GB RAM,256GB SSD) came third at 5258 points. The PCIe SSD on the Dell managed to get achieve a transfer speed of 187 MBps with the Yoga 910 managing 196 MBps and the HP Spectre x360 trolling them with a speed of 320 MBps. The Acer Spin 7 had come last with a transfer speed of 125.3MBps. Speaking of speed, the 2×2 WiFi antennas present on the XPS 13 2-in-1 are excellent with it operating at almost 52 MBps download on our lab network! Don't expect the notebook to run heavy games though, as Dirt 3 averaged a 22 fps on the XPS which was the lowest, with the Yoga 910 scoring much higher with a 53 fps score. The Spectre x360 scored 40 fps and the Acer Spin 7 scored 33 fps. Casual games are the most this notebook can run smoothly. Or you can try out Need for Speed Most Wanted 2012 or older titles at optimum performance. When I first heard about the XPS 13 2-in-1 not having a cooling fan, I thought it would heat up quite fast. Turns out, I was somewhat right. The CPU is cooled passively and there's no need of fans or vents. 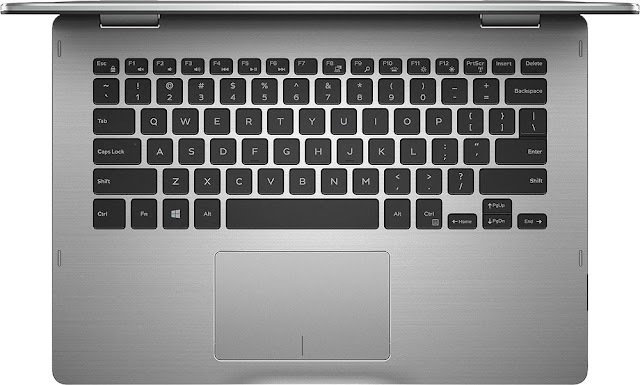 After browsing the web for 20 minutes, streaming videos on YouTube for another 15 minutes,the touchpad registered 86°F, with the area between the G and H keys registering 90°F and the bottom rose up to a toasty 100°F, which means the notebook may get a little bit uncomfortable if you place it on your lap for long periods of time. Dell has packed in a 48 Watt hour battery in the XPS 13 2-in-1 which is significantly smaller than the 60 Watt hour battery in the Standard XPS 13. On our battery test, which involves continuous web surfing over WiFi, streaming videos on YouTube and casual gaming, the battery on the 2-in-1 lasted for a good 7 hours 35 minutes, which is lower than the MacBook’s 9 hours 2 minutes, but smokes the Acer Spin 7’s time of 6 hours 10 minutes. The HP Spectre x360 scored a time of 9 hours 45 minutes and the Yoga 910 scored a time of 10 hours 36 minutes. Dell hardly has added any bloatware on the 2-in-1 other than some essential apps such as Dell’s help and support apps, McAfee LiveSafe for security. You may want to uninstall, as it installs itself onto your web browsers and pops up useless annoying notifications. You also get Dropbox and Office 2016, which you'd you'd have to activate, and Bamboo Player, which is a digital notebook for using with the the optional Active Pen. Among pre-installed games, you'd get Candy Crush Soda Saga along with Microsoft’s Solitaire collection. There's some problem with the sleep mode which has plagued some Windows 10 devices. Whenever I put the notebook in sleep, it immediately wakes up again and stays powered up while i'm carrying it or it sits idle, and that results in huge battery drain. I was however, able to hibernate my device following the steps of troubled buyers before me, but waking up your PC from a sleep is way faster than than waking it up from hibernation and it feels frustrating. If there is no open programs, try signing out and then putting the laptop to sleep. It worked for me! The 720p webcam which is still located at the bottom of the display is my most hated feature on the XPS 13 2-in-1. Instead of being off to the left, the camera is now situated at the centre, but that doesn't make any difference, as it still takes shots of your chin. You can flip the display around to place the system intent mode and bring the camera up, but by doing that you lose the keyboard. The images were somewhat grainy, but had accurate colours, which is a rarity in most laptops like the Acer Predator 15 and the HP Omen 17. The built-in microphone was pretty good though, and records clear audio which is more than enough for Skype. The 2-in-1 packs pretty good quality speakers for such a system, and the two 1-watt speakers under the keyboard can get fairly loud. While playing songs at maximum volume, the vocals were crisp, with no distortions at all. I also liked the fact that I could tweak the base via the built-in MaxxAudio Pro app. However, the audio software has become complicated every time you plug in an audio device. Not only do you have to choose whether it's in or not, you also have to specify what kind of headphones they are. Entering passwords on mobile devices has just become old technology now, and even I don't like typing in passwords every time I log into my device. I was thus pleased to see that Dell has added a fingerprint sensor on the XPS 13 2-in-1. After the initial brief setup, I could just log in via Windows Hello just by placing my finger on the sensor-you don't have to swipe. The sensing time was a bit longer after cold boots, but waking the device from sleep was instant. You can also use the fingerprint sensor to authenticate purchase and download items on the Windows Store. There's another vestigial security feature, for now at least. 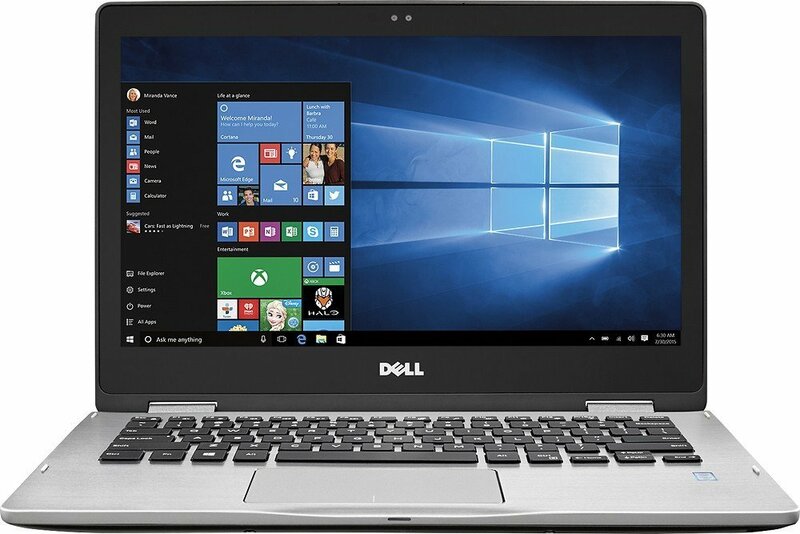 There's an infrared camera beside the usual webcam and eventually you'd be able to just log in by staring at it, but its non-functional for now as Dell says this feature would be enabled on a future update of Windows 10. The Dell XPS 13 2-in-1 starts at $999, which includes a Full HD touch screen, a Y Series Core i5-7Y54 CPU,8GB of RAM and a 128GB PCIe SSD. A higher price of $1199 would get you the same CPU, 8 GB of RAM, and 256 GB SSD. The $1299 model would get you same specs, but with a faster Core i7-7Y75 Y Series CPU. The most expensive $1799 model offers a Core i7 CPU,16GB of RAM, a 512GB SSD, and a sharper 3200x1800 touch screen. The Dell XPS 13 2-in-1 hybrid is a pretty cool little 2-in-1. It Is fanless, delivers top notch battery life, comes with a Thunderbolt 3, is reasonably priced, and does all of this with a 360 degree hinge; something you might not be using that much, because it is still pretty heavy to be used as a tablet. But compared to the relatively lower cost of the Dell XPS 13, compared to previous convertibles for that hinge, it might be time for traditional notebook users to consider “converting” to the Dell XPS 13 Ultrabook.